If there’s one time in your life where you want healthy, shiny, smooth, radiant and almost model-esque hair, it’s on your wedding day. 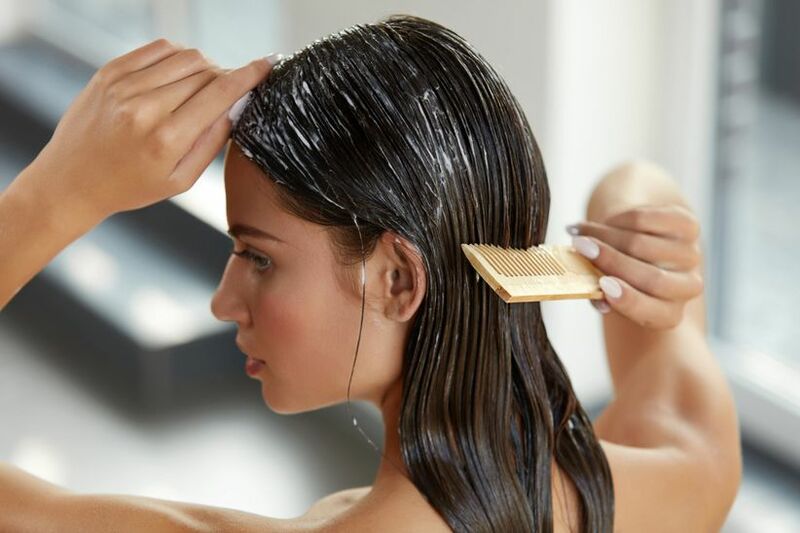 Not only are healthier strands easier for your hairstylist to manage, but they require less effort as well as product to achieve your desired look. 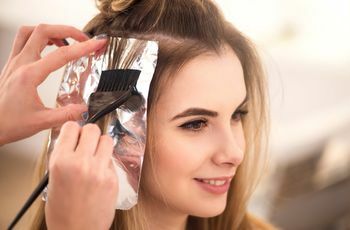 While eating a nutritious diet, getting frequent haircuts and staying away from hot tools can all help improve the health and quality of your hair, luckily, there are also some of the best hair masks on the market that promise to reverse damage, hydrate and boost radiance on lackluster tresses. 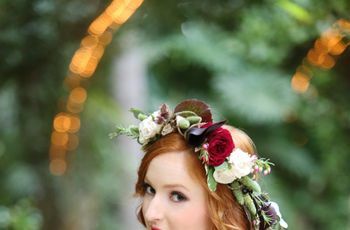 With so many masks on the market to choose from, we reached out to celebrity hairstylists to find out the best hair masks they use on the stars that yield wedding-worthy results. Ivan Rodriguez, celebrity hairstylist, considers this the best hair mask to prepare the hair of any future bride because it helps to deeply hydrate the hair while conditioning and strengthening it. “The power of the quinoa softens, while the silk protein adds strength and elasticity,” he says. “Finally, the maracuja oil nourishes the hair and softens the texture.” This mask creates more manageable and healthy hair that leads to easier styling the day of, he adds. This deep conditioning treatment repairs dry, damaged hair, which is perfect for brides seeking shiny, silky and smooth strands without frizz. “Hairstyles hold longer in hot and humidity weather when hair is healthier,” says Nelson Chan, celebrity stylist and founder of Nelson j Natural Salon, in Beverly Hills. To achieve this nourishment, he turns to Living Proof Restore Mask Treatment, which hydrates and strengthens hair while protecting it against future hair damage. “It’s also safe for color- and chemically-treated hair,” he adds. Überliss (meaning super smooth) is a hair care company that is continually developing new products with cutting edge sciences and technology, explains Kyle Hennessy Colorist & Stylist at B2V Salon in West Hollywood. He loves their advanced bond regenerative system, which he uses on color-treated hair to regenerate broken hair bonds and strengthen fiber elasticity. “This hair mask repairs all damaged areas and increases the tensile strength of the hair fibers, making them more elastic,” he says. “It deeply conditions the hair fibers with a combination of apple, lemon, and buriti extracts and restores the hair fiber to its normal porosity—this leaves the hair with an amazingly shiny, soft and natural look.” He suggests working the mask through damp or towel dry hair and letting it sit for around 10 minutes or longer. “I always tell clients to leave it in overnight, or while it’s conditioning wrap your hair in a bun and do all your errands,” he adds. “This treatment mask is made up from an exclusive L’Oreal Lipidium Complex that gradually repairs and replenishes the lipids in the hair,” says celebrity stylist, Netty Jordan. “This mask saves and revives the hair from outside aggressors like UV rays, salt, and chlorinated water, as well as heat tool damage.” It’s her go-to mask for all her brides, since it gets hair in top shape for their big day. “Brides to be should start treating their hair to this mask six months prior and do a treatment every other week,” she adds. This green tea-infused mask is also nourished with shea butter and vitamins A and E, so it has everything dry, damaged hair craves. “The mask leaves your hair moisturized, shiny, hydrated and locks in your color,” says Kacey Welch, creator of the Kacey Welch Method for hair extensions and master colorist at Roil Salon in Beverly Hills. “Whether winter or summer, hair loses moisture and this is the best masque to use to bring it back.” Eco-conscious brides will love the fact that it’s sulfate-, paraben-, gluten- and cruelty-free. 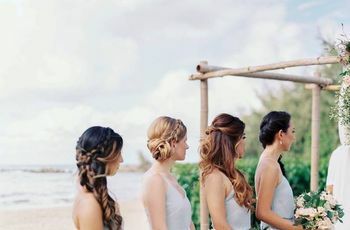 Welch recommends using once a week leading up to the big day for beautiful wedding hair. Hairstylist Jenna Mast has seen this mask transform tremendously damaged hair into beautiful, healthy hair. “The rare prickly pear seed oil is the secret—its pure and high quality, so it absorbs into the hair instead of sitting on top of the hair, like a silicone-based product will,” she says. “It really regenerates the hair and allows hair to naturally shine without weighing it down or making it greasy looking.” Due to its high quality ingredients, she only suggests using the mask once a week for a few minutes. Celebrity hair artist Kendall Dorsey thinks this is the best hair mask out there, and it’s his number one for brides. 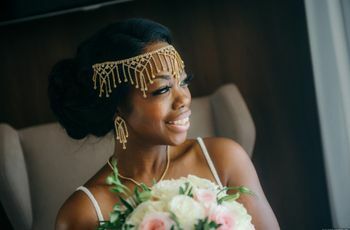 “Brides-to be need healthy hair, so using a super-hydrating mask like this one ahead of all the teasing, curling, pinning (and dancing with the new partner!) is a necessity,” he says. “A powerhouse blend of extracts, like rosemary, green tea, ylang ylang, rose and linseed moisturize and replenish hair, while various forms of protein like wheat, keratin and goji berry strengthen and repair.” He recommends using this mask twice a week for at least three months prior to your wedding, if possible. This hair mask is a staple in New York-based stylist at Nunzio Saviano Salon, Lauren Thompson’s shower at home. “Moroccan Oil products have argan oil in them, which is high in vitamin E, essential fatty acids and antioxidants that help hydrate and nourish dry hair,” she says. “The Intense Hydrating Mask is great for anyone with very dry, frizzy, naturally curly hair that needs extra hydration and shine back in their hair.” She suggests using it in place of a regular conditioner every time you wash your hair, until you see improvement. According to NYC master colorist, Stephanie Brown, this is one of the best hair masks—and is worth its hefty price tag. “It helps repair, moisturize and add shine thanks to its ingredients list which includes nut oils that penetrate through the cuticle of the hair,” she says. “It’s great for damaged or over-processed hair and lasts a long time, which helps offset its costliness.” She recommends using it once or twice a week leading up to your big day and leaving it on for 10-20 minutes at a time. “This hydration treatment reverses damage, renews health and adds body,” says Raymond Anthony, artistic designer and makeup artist at Salon Eva Michelle in Boston, Massachusetts. “Because it’s lightweight, it’s ideal for all hair types, maintaining healthy condition and providing body and shine in a minute.” It’s ingredients list includes olive fruit oil, vitamin C and acai, a super-enriched antioxidant berry with anti-aging properties. “It can be use weekly to enrich the core of the hair and bring up the shine for a fabulous hair for that special day,” he adds. 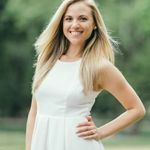 When planning her own wedding look last year, Maria Berger, hairstylist at Tarro Salon in Bloomfield Hills, Michigan, was willing to try every product on the market to achieve the perfect bridal glow, including having the shiniest locks on her big day. “I tried a few at-home hair masks, but was never satisfied with the results until I stumbled upon what I would deem ‘hair mask heaven,’ AKA Oribe Signature Moisture Masque,” she says. “Not only does this luxurious hair treatment have Oribe's signature scent Côte d’ Azur (yum), but it contains macadamia nuts, sunflower seed extract, keratin and other amazing ingredients that deliver high shine and strength.” Brides (and even grooms!) can achieve lush locks by massaging this cream-based mask into the hair for 10 minutes once weekly, she adds.